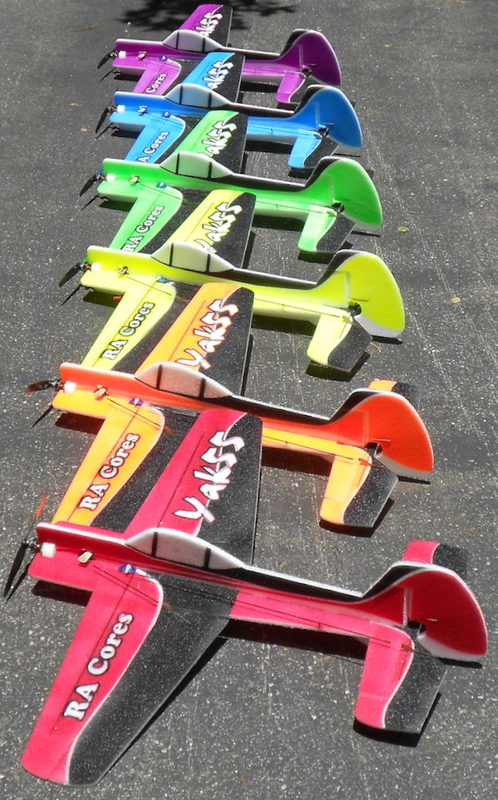 This version uses 6mm EPP foam is lighter than our 9mm EPP version and has floaty flight characteristics. The airframe builds about 25 grams lighter which in turn allows you to use a lighter motor (we used a 17g pancake style motor in our videos) and 350mah 2S batteries for an overall reduction of about 40-50 grams in flying weight. Lighter flies better. It is a whole different plane even though the parts are all the exact same layout. The carbon stiffens the wing and the plane has good characteristics. The EPP is forgiving but the thinner foam isn't as tolerant to bumps as it's 9mm sibling. This is a fun option for intermediate 3D practice indoors. The 6mm EPP Lightweight Yak55 YouTube video playlist.